Flowers that last longer make customers happier. So florists have become experts in making flowers last longer. It starts with processing the bulk flowers correctly. After the flowers have hydrated, we move on to preparing the vase. It should be cleanly washed with no dirt. Want a secret? 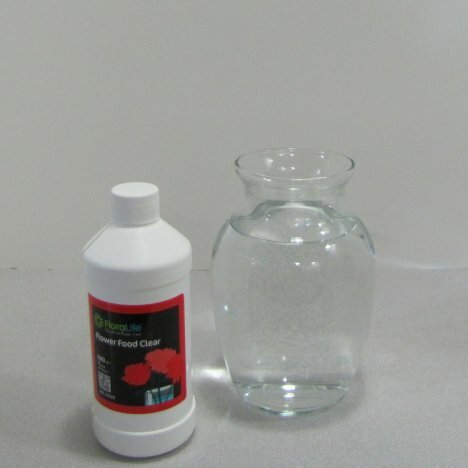 Put a 1/4 teaspoon of bleach per each quart of warm water used in the vase and mix thoroughly. Sounds scary, doesn't it? A weak bleach solution actually keeps bacteria down. Change the water every couple of days (or if looking cloudy) adding in the same amount of bleach per each quart of water. Our shop regularly "bleached" the buckets in which flowers were store in the coolers. That meant we washed the buckets, rinsed away the soap and then pour in a bucket of water treated with bleach. We swirled the buckets and poured the bleach water out. We then allowed the bucket to dry WITHOUT rinsing out the bleach solution. 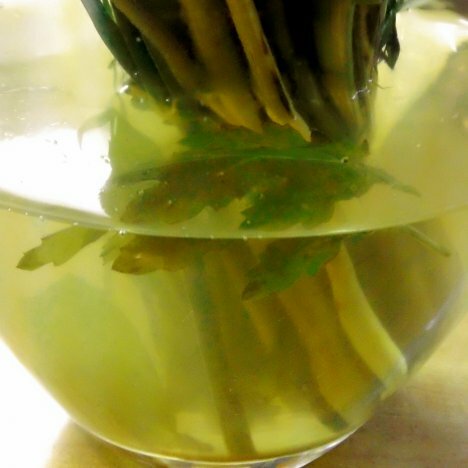 Liquid flower food is another great addition to the water. Flowers are living thing. They need food to survive the same way people do. Use the proper amount as directed on the bottle. Too much won't hurt the flowers, but it just wastes product. Not enough solution won't really make much of a difference in the flower's life. Using home remedies (lemon lime soda, etc. )are what florists subscribed to years ago because it added sugar to the water, but I feel the professional product is superior and tested for exact amounts. Added sugars in the wrong amounts can increase bacteria growth. With Crystal Clear Flower Food, you are going to get the best results. I don't like to fool around guessing about wedding flowers, so I use Floralife products from processing all the way to final design. When I first learned how to arrange fresh roses in a vase, I was taught how to make a "grid" of the greenery stems that would create a framework to hold the roses in place. There's only one problem with this method. 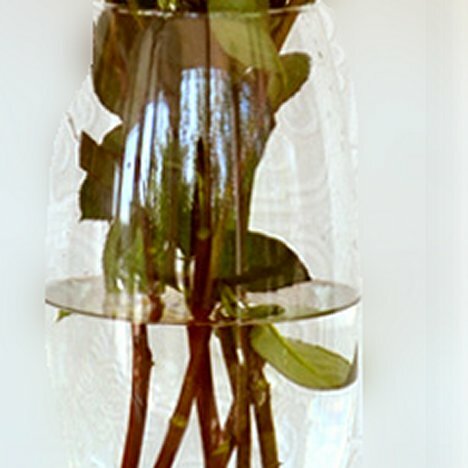 Placing the greenery in the vase first can inadvertently push leaves down into your clean water solution as you insert roses (especially if you've left the thorns on). Letting thorns remain can extend the life of your roses. You may want to blunt the thorns with your knife, but using strippers to pull thorns off rose stems can cut into the stems and scrape off the outer covering. This open a place for bacteria to grow, shortening your life of your roses. The only exception to this is wedding flowers. They aren't expected to live standing in a vase of water for a week, so I remove the thorns to ensure no damage to hands or delicate fabrics of the bridal or attendant dresses. Leaves under the water line can quickly turn into greenish, bacteria laden water. If you can prevent leaves or other parts of foliage from being under the water line, you'll increase the life of your flowers considerably! Changing the water at the first sign of cloudiness and replacing it with new water treated with flower food is a good practice. But florists know that this good habit isn't always followed religiously by the recipient, so we try to keep any foliage from falling down into the water in the first place. Instead of using the greenery to "grid" the vase, I start with the flowers themselves so they create their own grid. It takes a little practice to use this method, but once you get the hang of it the flowers are easy to design with no worries of "floaters" (little bits of greenery and leaves). Clean your stem of foliage, leaving some leaves up near the base of the rose head. 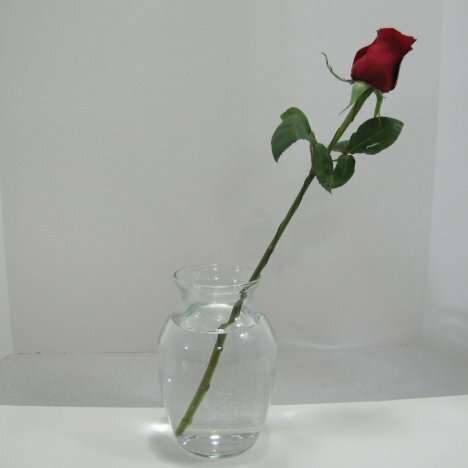 Hold your rose stem next to the vase. 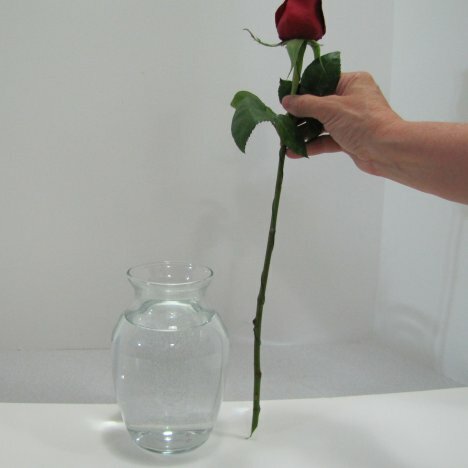 Your rose should be cut to a length around 1 1/2 to 2 times the height of the vase. 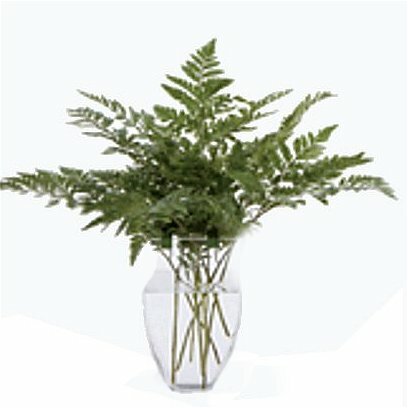 Remember - the "long stem" look is prized, but you can make even short stems look more impressive by keeping as long of a length as you can above the vase. 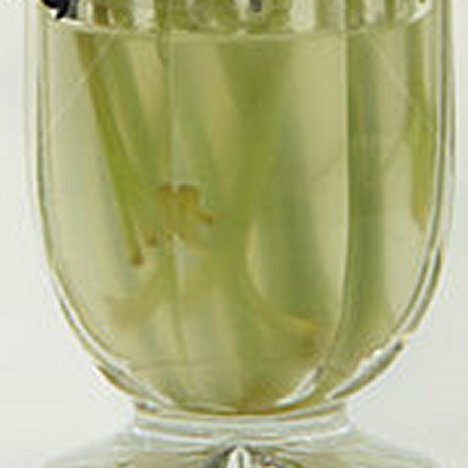 Place your first cleaned rose stem into your prepared vase. Vases that have flared necks are usually easier for beginners to design in.